GALWAY, ITS landscape and historic buildings, are the theme for a new exhibition, featuring work by students of the artist Jim Kavanagh, currently running at the Town Hall Theatre gallery. The works, which include depictions of Ballinahinch Castle and the monastic ruins at Claregalway, were created by pupils ranging in age from 17 to 70. Many of the works will be on sale, and some proceeds from the show will go towards Galway Simon. The exhibition will run for a month. 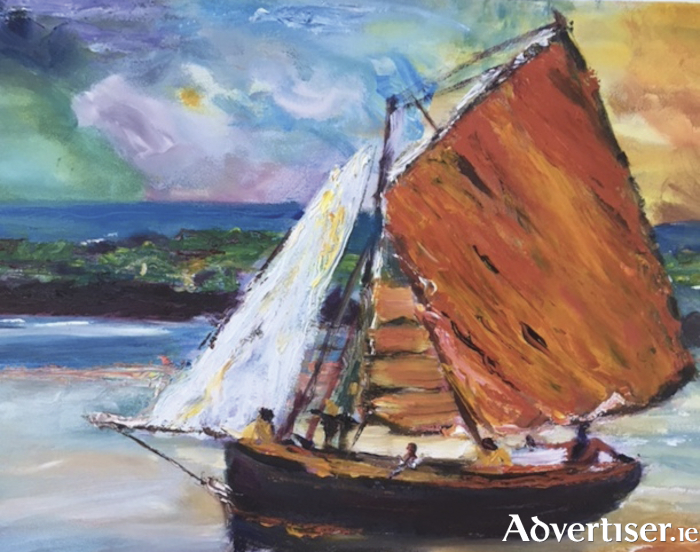 Jim has been running his successful art school, near Annaghdown, for more than 15 years. Classes are kept small for maximum tuition. Different methods of painting are taught, such as using old master techniques, as well as modern approaches and styles. New classes/projects start in January. All levels of ability are welcome. Those interested should contact Jim on 086 - 0881307 or email [email protected].